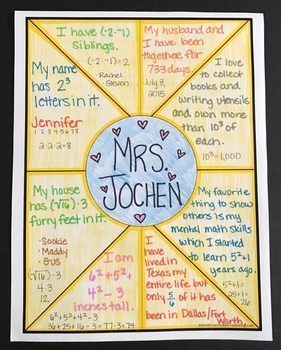 Starting out a new school year can always be daunting but providing your students with a fun and engaging way to get to know one another can always help lighten the anxiety, especially in a math classroom. This project is great for a Back to School, Open House or just about any time during the school year. 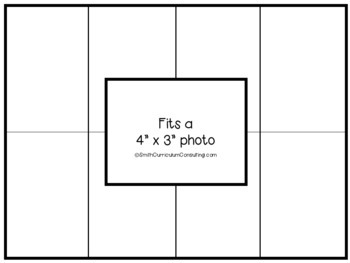 This activity easily allows students to demonstrate prior math knowledge while letting you (and their classmates) know a little bit about themselves. ► Paperless. No waste of supplies- paper, glue, tape, etc. No mess! ► Students work with their own copy of the file on their own device. ► All work is automatically saved! ► Students are engaged and actively working without fail! ► Access anywhere and everywhere! Work is turned in on time! Google Drive Products Licensing: With the purchase of a Google Drive Project by Smith Curriculum and Consulting, you have acquired a limited license for your classroom use. 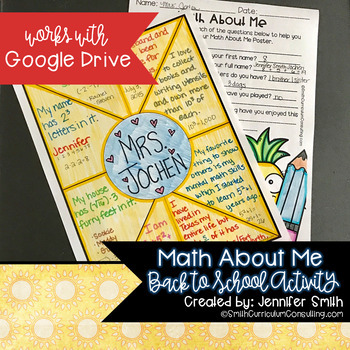 You may use this resource year after year for your personal students. This product MAY NOT be copied, shared, or distributed outside of your classroom unless additional licenses are purchased. This product MAY NOT be uploaded to the internet or stored in a public network. It may however be store on your personal network that is password protected. If you have any questions pertaining to this limited license for Google Drive resources, please email me here.